ACUNIS, the joint venture of Unitechnik and AMOVA, is showcasing solutions for air cargo intralogistics at inter airport europe in Munich. In hall A5 at stand 1158, one of the projects the company will feature is the air cargo terminal built for Ethiopian Airlines. The facility at the airport in Addis Ababa began its operations in June 2017. ACUNIS is responsible for planning the entire terminal and for implementing its technical equipment. Another fair highlight is the new release of UniWare Cargo. This Inventory Control System for air cargo terminals now has even better functions for integrating manual and automatic warehouses. Able to handle 600,000 t of goods in the first construction phase and covering 38,000 m², the new Ethiopian Airlines cargo terminal at the Addis Ababa airport is the largest on the entire African continent. The heart of the installation are two automatic warehouses with space for 1,000 10-ft air cargo containers. Half of the hall complex is equipped with special refrigeration technology and maintains a closed cold chain in a temperature range of 2 to 10°C. This is especially important for the increasing transshipment of foods as well as goods from the pharmaceuticals and life sciences segments. “The safe handling of temperature-sensitive goods is a trend that we are also seeing in Africa. The observance of documentation requirements related to the maintaining of an uninterrupted cold chain is another driver of consistently digital processes in cargo facilities,” says Michael Huhn, Sales Manager at Unitechnik. 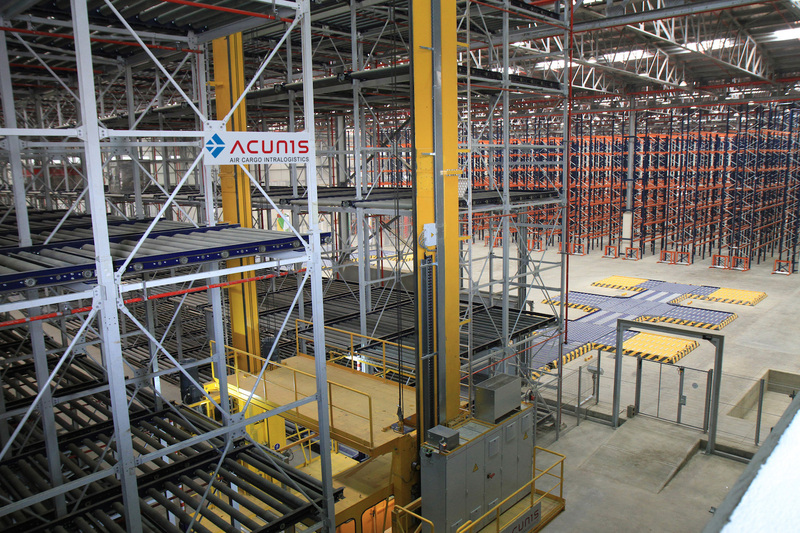 Transparency throughout all processes in air cargo terminals is provided by the new release of the ACUNIS Inventory Control System (ICS) UniWare Cargo which will be unveiled at inter airport europe for the first time. The solution now integrates manual and automatic warehousing for a cargo terminal even better in a single system. The system maps the entire logistics process within the facility – from the acceptance of the air cargo containers at the dolly dock to the loading of Euro pallets on trucks. The new software also fully shows all processes related to import, export and transit, including storage, transport and setting up and dismantling of air cargo containers. Employees are informed of the location of the goods and the next handling steps via handheld terminals, stacker control systems or mobile devices. A zoom visualization of the facility provides an overview of the entire cargo terminal. It shows the details both of the automatic as well as the manual zones – even on tablets. The ICS uses the IATA standard “Cargo-IMP” to communicate with the cargo management system and thus seamlessly integrates with the higher-level software.